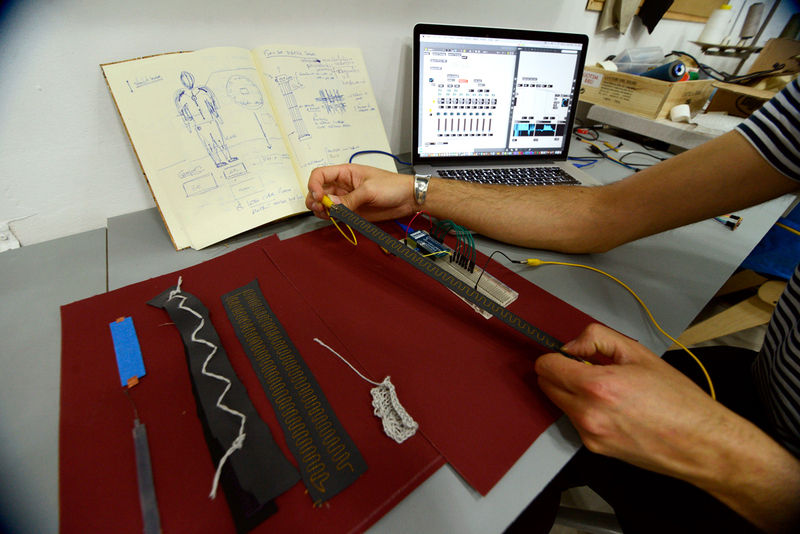 Elastica is a wearable suit developed with low cost, DIY embroidered stretch sensors that functions as an interface for the performer augmenting his body, creating sound and data visualisation. 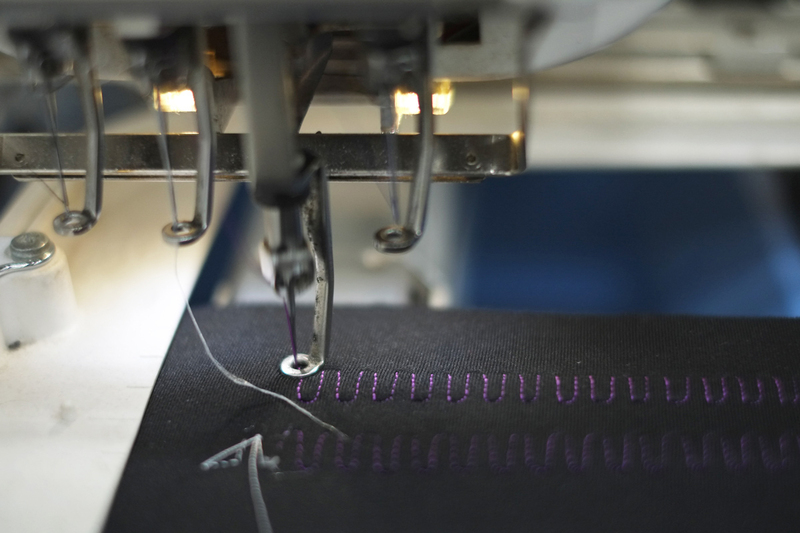 Through the use of E-textile and conductive thread the body biometrics allow performers to capture data of their behaviour, enhancing how they engage with a external environment. 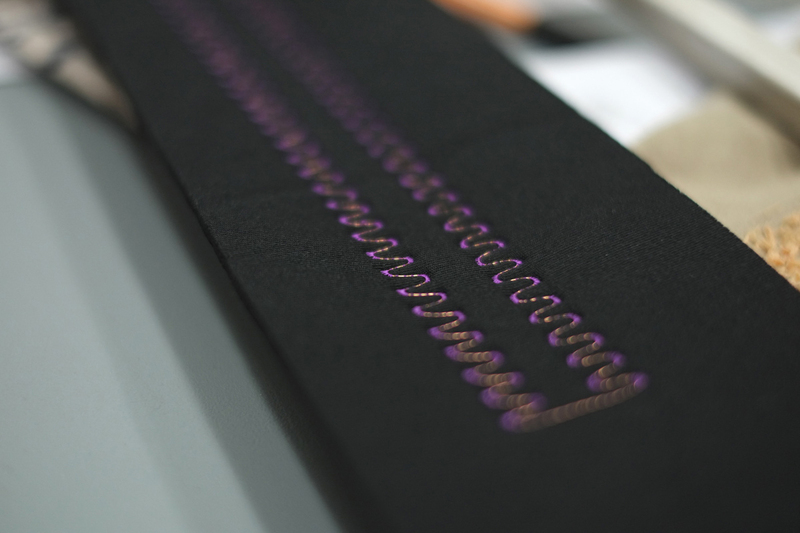 After a study on the anatomy of the body and the expansion of the muscles, the stretch sensors are integrated to a tailored suit that through Wifi communicates with MAXmsp interface to generate audio/visual output. Elastica becomes an interface instrument for the performer, creating real-time dialogue between fashion and dance, wearable technologies and data visualisation. 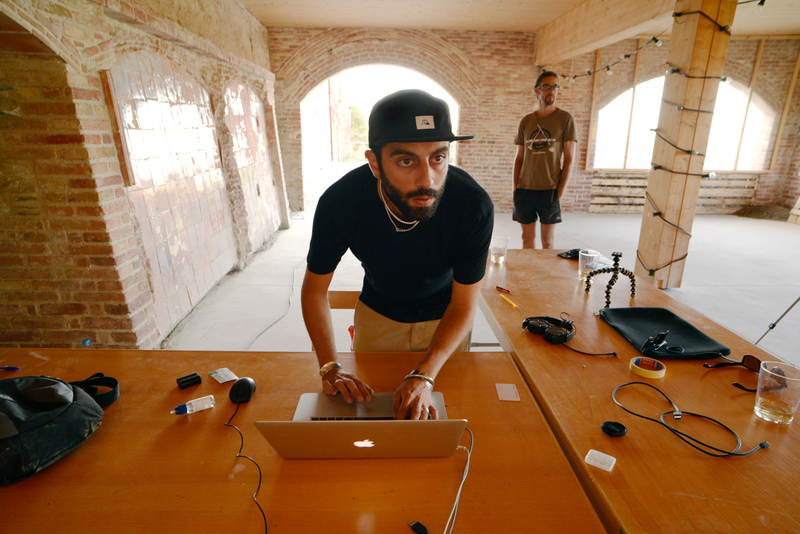 Cristian Rizzuti is a multimedia artist that draws inspiration from science and mathematics, and his work revolves around digital arts, live media and interactive experiments. Rizzuti's research is focused on the role of human perception, synesthetic spaces and the art/science double bond. The main theme of his works is based on light sculpture installations, emotional sounds and body.